Wondering how to buy a car online? Online Shopper is bringing car shopping into the 21st century by allowing you to find and buy a car online. Get a new or used car in Puyallup without leaving your couch thanks to Online Shopper. Read on for an overview of Online Shopper and to learn what steps to take when buying a car online with Online Shopper. Online Shopper allows you to find, finance, and buy a car entirely online with your laptop, desktop, mobile phone, or tablet. This first of-its-kind feature uses real-time inputs help you get the best financing offer on your Nissan vehicle of choice in Tacoma. 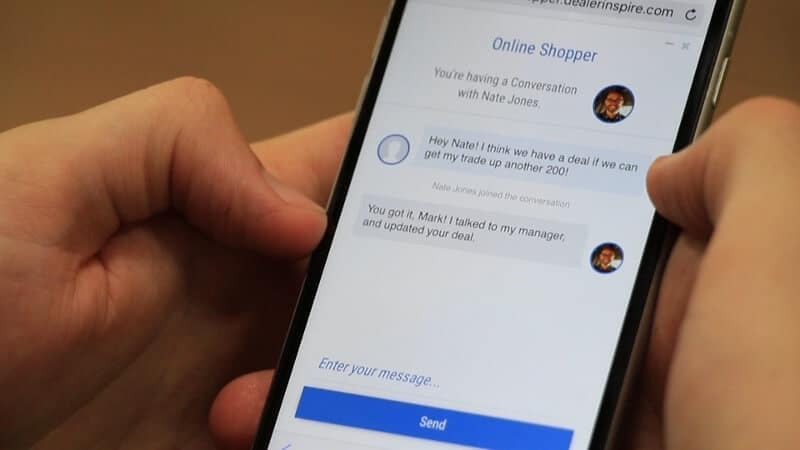 Online Shopper takes the answers you gave to its questions to automatically develop a personalized deal for you from Bill Korum's Puyallup Nissan — all within a few minutes. Follow these simple steps to use Online Shopper to buy your next Nissan vehicle online in the Bonney Lake area. Answer Questions: A new tab will open where you’ll be asked some basic questions. These questions cover your interests, your driving habits, rebates you can qualify for, and your credit score, all so you can get the most personalized offer possible. Trade-In: Fill in details about the year, make, model, and condition of your current vehicle if you’re going to trade-in a car toward your new purchase. Down Payment: Enter the amount of money you’d like to put down toward your vehicle purchase to help Online Shopper develop your offer. Note: This doesn’t mean you’re locked into this payment, and you won’t make it at this time. Choose Finance Terms: Choose your preferred finance terms, and Online Shopper will give you a finance offer, taking into account all of the previous information you provided. Now that you’ve completed all of the Online Shopper questions and selections, it’s time for you to finish your purchase. Credit Application: You can complete a credit application at this time, if you like. If you choose to complete a credit application, Online Shopper will send you an automated email, which will direct you back to our Online Shopper site so you can finalize the deal online right then and there. If you decide not to complete a credit application at this point, Bill Korum's Puyallup Nissan will get in touch with you regarding next steps. Final Terms Sheet: You will get a final terms sheet, which will display what your monthly payments will be and what your approved interest rate is. You can also add a warranty or any accessories to protect your purchase at this point — you will receive your final payment plan after your warranty and accessory selections. You’re Done — Pick Up Your New Nissan Car! After your purchase is complete and you have your finalized payment plan, all you have to do next is schedule the pickup of your vehicle in the Federal Way area. You’ll make your down payment and sign the financing agreement when you come to pick up your car. We’ll also happily address any questions you have about your car when you come to pick it up. Or, you can always get in touch online to ask questions about the car you’re interested in or how to use Online Shopper!